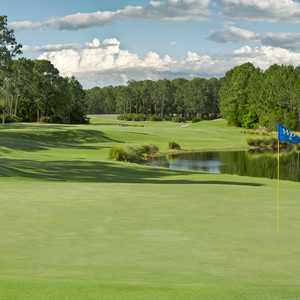 Florida has again placed a number of courses in Golf Magazine's "Top 100 courses you can play list." The Blue Monster at Doral is one of six Florida courses on the Golf Magazine's 2008 "Top 100 courses you can play" list. The Stadium at TPC at Sawgrass, Pine Barrens at World Woods Golf Club, Championship at Arnold Palmer's Bay Hill Club and Lodge, Ocean Course at the Hammock Beach Resort, the Copperhead at the Innisbrook Resort and Golf Club and the Blue Monster at Doral Golf Resort and Spa all made the prestigious list. 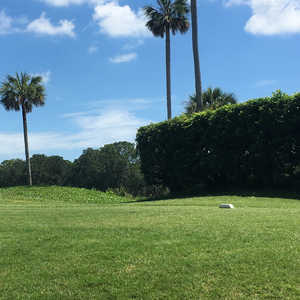 The Sunshine State, which has more than 1,200 golf courses, more than any other state, placed six public-access courses on the list, tied with Arizona. California led the way with 10, followed by South Carolina. All six Florida golf courses are repeat selections. 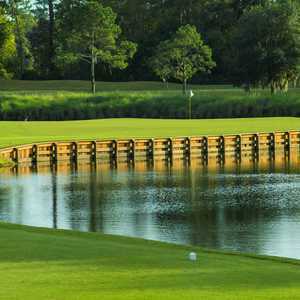 Four of them moved up on the list, including the Stadium course at TPC at Sawgrass, which cracked the top 10; it was 11th on the magazine's 2006 rankings. Two moved south, while one, the Blue Monster, stayed where it was, No. 98. Pine Barrens in Brooksville dropped a notch to No. 18; the Championship course at Arnold Palmer's Bay Hill dropped 10 spots to come in at No. 54; the Ocean Course at the Hammock Beach Resort moved up four spots to No. 78; and the Copperhead also moved up four places to No. 84. Eleven new courses made the list, none from Florida, and Pacific Dunes in Oregon was again named the top course. Tom Fazio is the architect with the most courses on the list, including Pine Barren in Brooksville, followed by Pete Dye with nine and Jack Nicklaus with seven. The rankings are put together with input from the magazine's World Course Ranking Panel, its editorial staff, industry insiders and the magazine's network of "course spies." The issue hit stands Aug. 15. Click here to see the complete list. Although 23 of the courses charged green fees of less than $50, some of those who responded to the magazine's feedback section were unhappy with what they considered high rates. "It is pretty hard to imagine playing courses with green fees requiring a loan," one said. "You guys cannot rate the course better because it charges $500," said another. The Stadium course at the TPC is the most expensive Florida course listed, with green fees ranging from $275 to $375, followed by the Blue Monster at Doral with rates ranging from $210-$325. Pine Barrens has the cheapest posted green fees: $30-$145.